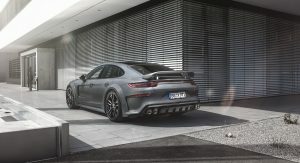 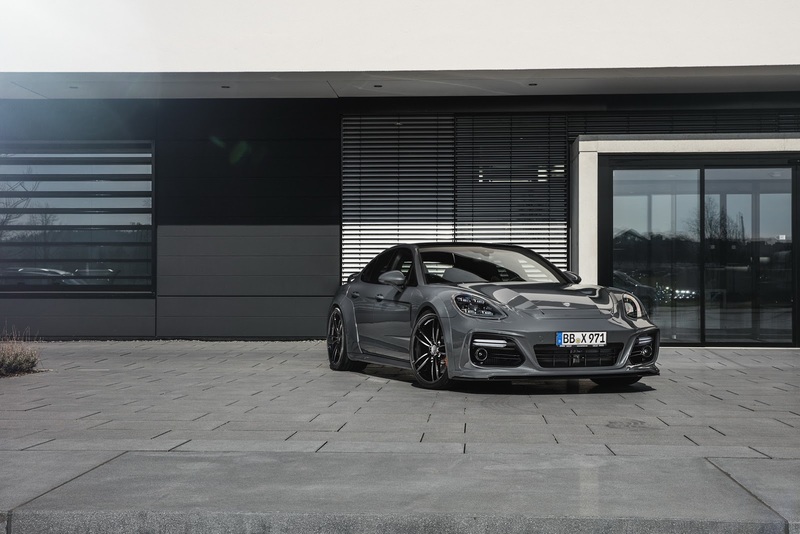 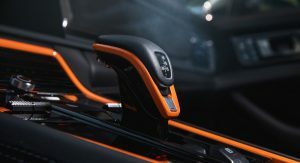 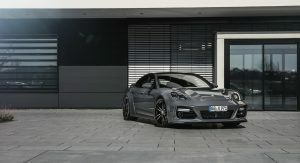 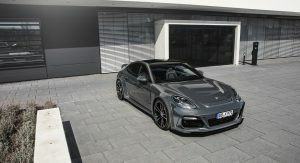 Aside from taking the time to explain to us what their sporty GrandGT is all about, German tuner TechArt has also released a new batch of official images. 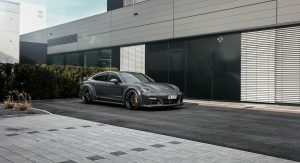 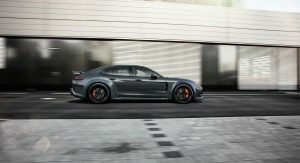 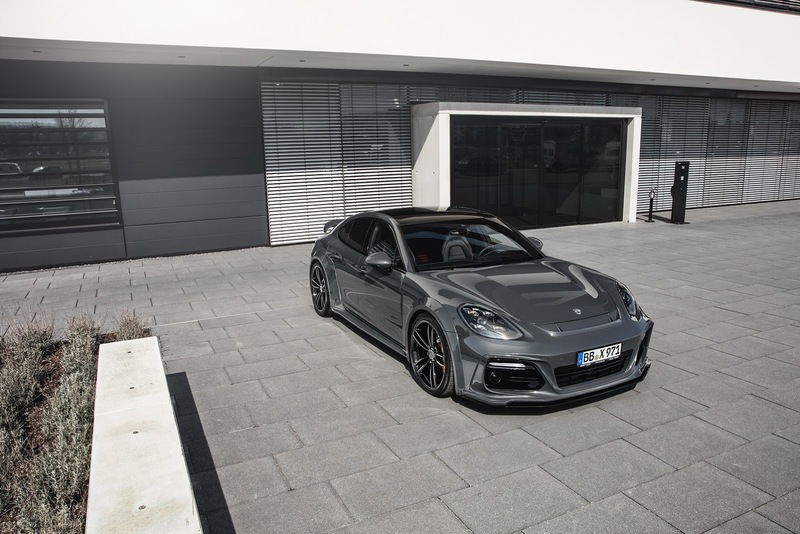 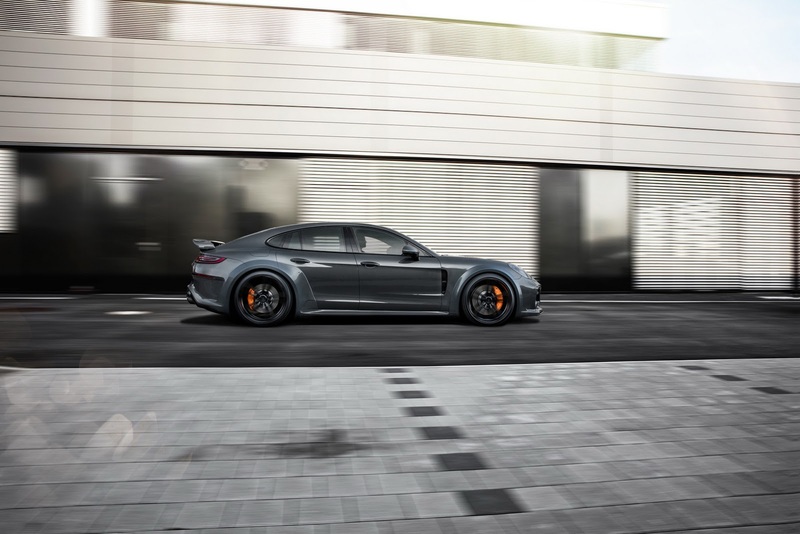 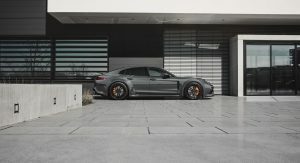 We first met the GrandGT, based on the MY2017 Panamera Turbo, at this year’s Geneva Motor Show, last month, where we couldn’t help but notice its widebody kit (increasing overall width by 80 mm / 3.1 in), extra-wide 22″ wheels and the customized cabin. 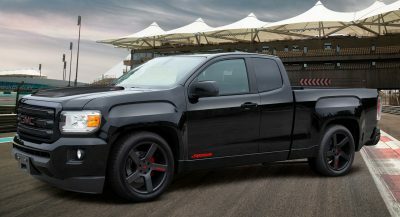 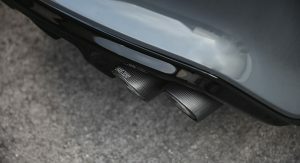 Now, the tuner has released more info, while letting us know that the conversion will be available worldwide this June, and that the power kits and exhaust systems will be released in the second half of 2017. 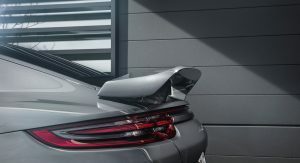 One of the things we didn’t already knew was that the aero engine lid is made entirely out of carbon fiber. 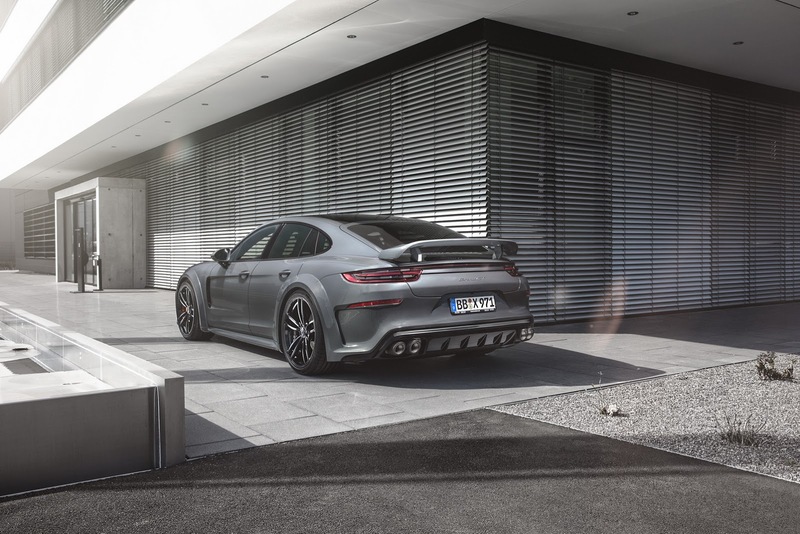 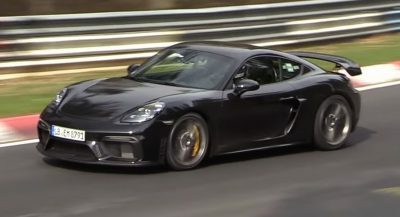 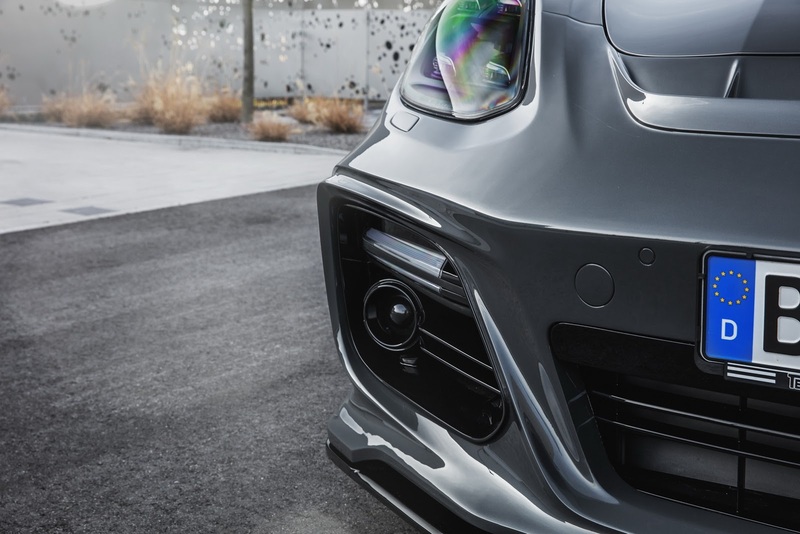 TechArt says that the aggressive appearance of the car comes courtesy of larger air intakes, central air outlet and dynamic side skirts . 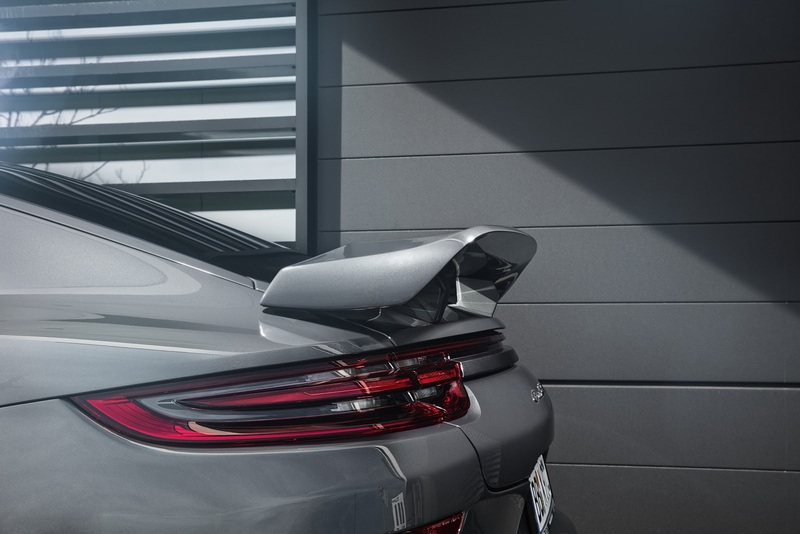 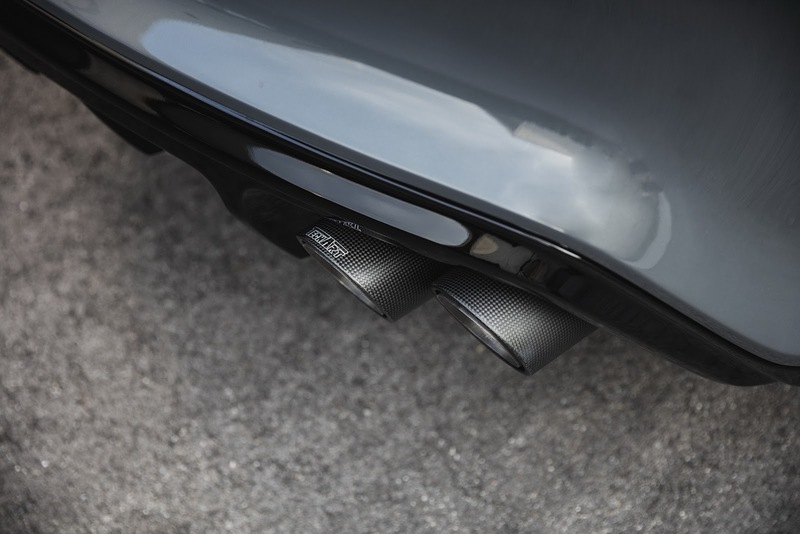 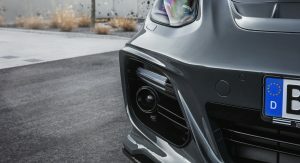 At the rear, the diffuser features a hovering design and four distinctive fins that border the titanium double-tailpipes with carbon fiber surrounding, while there’s also a boot spoiler. 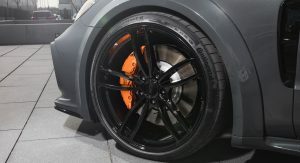 While its dynamic twin-spoke wheels are finished in black, customers can custom order them to match the color of the particular GrandGT. 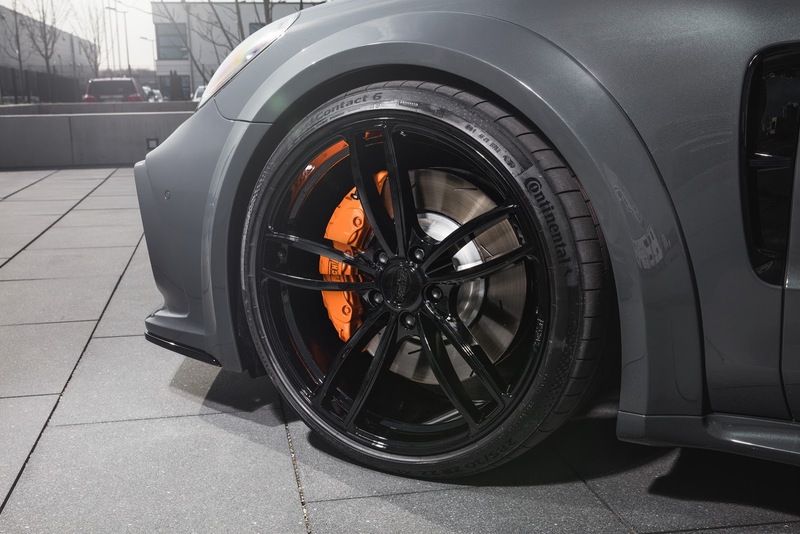 Furthermore, the brake calipers can be individualized with a high temperature resistant coating that’s also available in a custom finish. 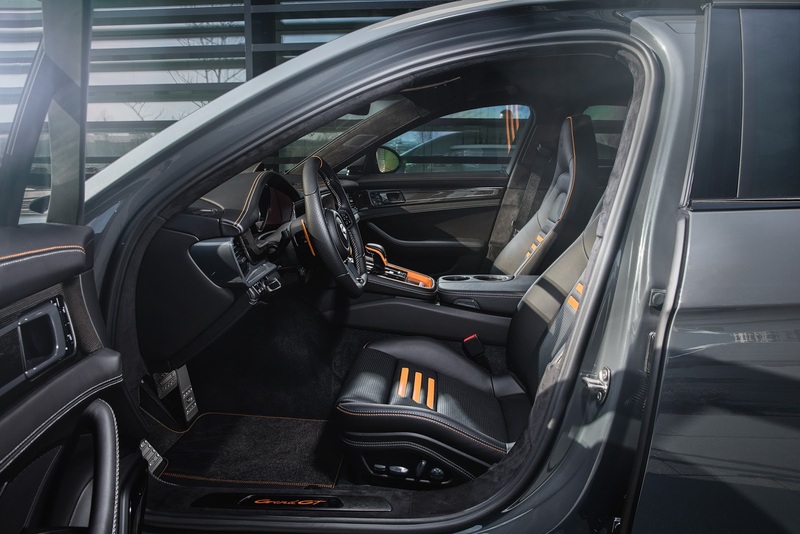 As for the interior, it’s got fine leather and Alcantara throughout, merged with laquered or carbon refined surfaces. 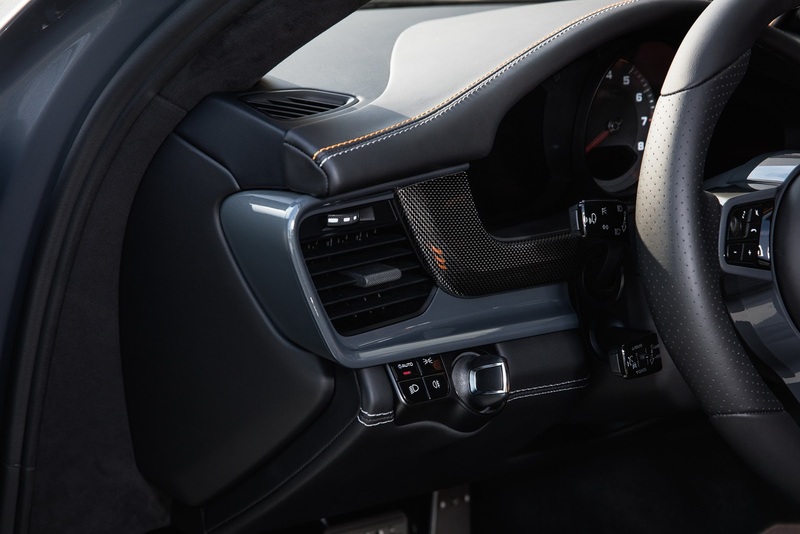 The TechArt Type-7 sport steering wheel also stands out due to its smaller diameter (360 mm) as well as its ergonomic shape. 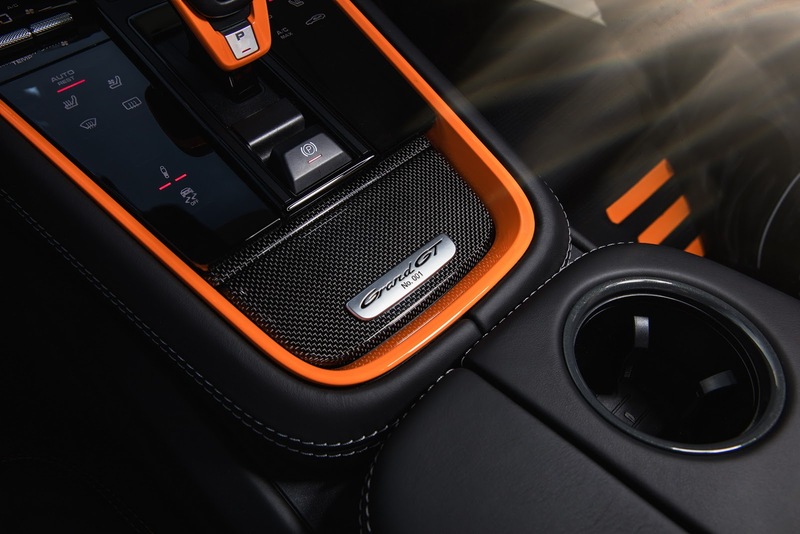 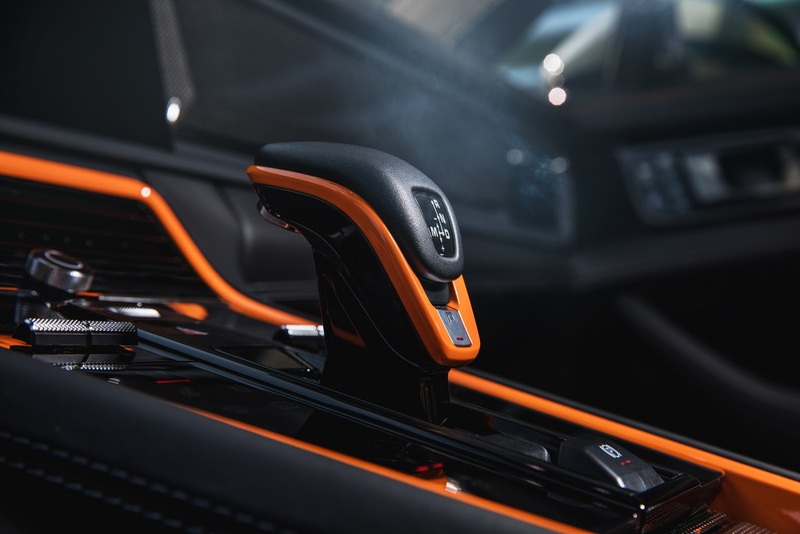 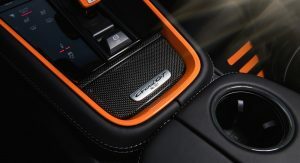 Customers can even get the paddle shifters to be refined with the tuner’s paddle trims, made of leather or Alcantara. 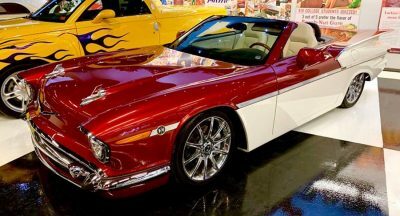 I like the look for the most part. 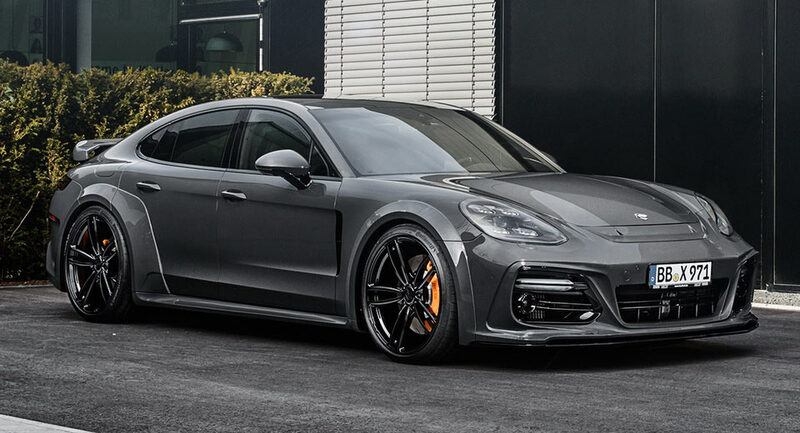 However, I feel that the tacked on look of the wheel arch flares, cheapens the overall appearance of the Panamera. 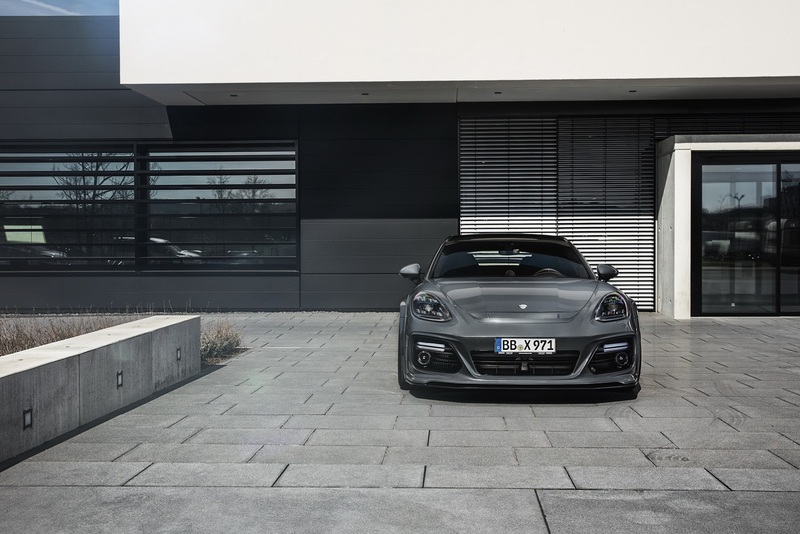 Next PostNext Should You Buy A Used First-Gen Porsche Cayenne?